AMD will begin shipping Ryzen Threadripper CPUs and motherboards in early August, with preorders of Alienware Area-51 systems packing the new CPU set to open July 27. For a preview of what's to come and our thoughts on where Threadripper stands, check out our piece: Thoughts on Ryzen Threadripper 1920X & 1950X: AMD's enthusiast monster CPUs. In the meantime, AMD today released a shot of Threadripper's packaging, teasing the CPU's appearance along with Vega at SIGGRAPH 2017, the expo is taking place in Los Angeles July 30 to August 3. To briefly recap, Ryzen Threadripper 1920X will have 12 cores / 24 threads and a 3.5GHz base speed that can boost to 4.0GHz. Priced at $799, it should cost $400 less than Intel’s comparable Core i9-7920X. 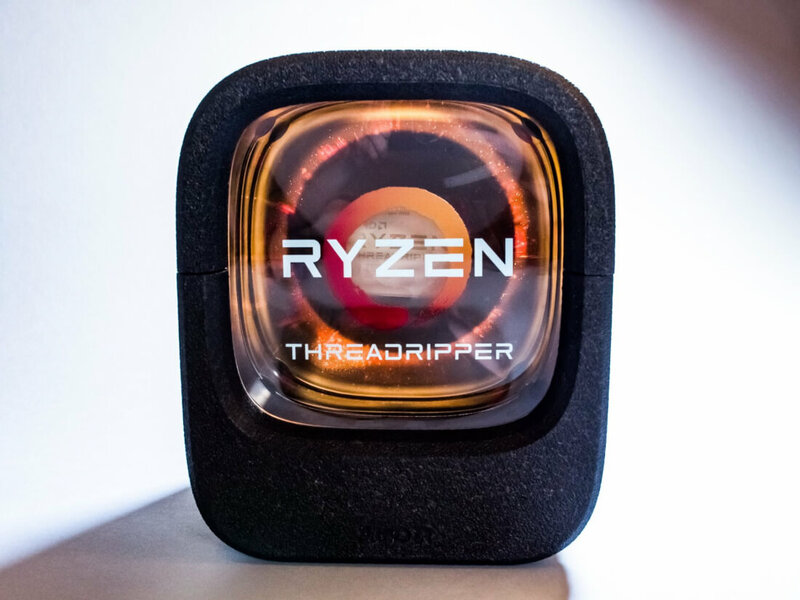 Meanwhile, the top-tier Threadripper 1950X will be priced at $999, offering 16 cores / 32 threads clocked at 3.4GHz with boosted speeds up to 4.0GHz. Intel’s comparable model would be the 16 cores / 32 thread Core i9-7960X which is expected to cost $1,699.